Bovina, Mississippi; Interesting New Twist – Tell my story. While I was in Mississippi last week, I had an experience that seems so typical of the research work on Emmett’s story; i.e., I discovered that Emmett’s uncle lived, literally, down the road from my ancestors in Vicksburg at the turn of the last century. Did they know each other? Maybe. Emmett’s uncle was Simeon Brockenbrough Maxwell, his mother Elizabeth’s youngest brother. There’s not much information available about Simeon, except that he was born in Tallahassee, lived in Pensacola at the same time as his older sisters Lucy and Elizabeth; and, after his sisters married, he went West to seek his own fortune, in Mississippi. Bovina, Mississippi, to be exact. That was a surprise. Why? Because my family comes from Vicksburg. What are the odds that Emmett has a close relative that lived about eight miles up the the road from my own relatives? 1900 U.S. Census, Bovina, Mississippi. Simeon married Emma J. Overby on November 12, 1873, in Hinds County, Mississippi; they moved to Bovina where he was a farmer. They had several children: Frank, Edward, Julia, John, Georgia, and Emma. If you look closely at this census, you’ll see that it lists that Emma Overby Maxwell had 10 children, but only six are living. In this census, she’s 42 years old, married for 27 years. Also, notice that her son, Edward was born in British Honduras. That’s interesting! If you recall in an earlier post, Emmett was also born in British Honduras, in 1882. 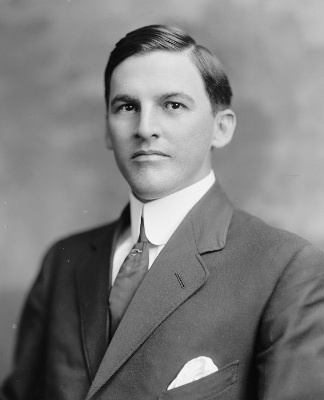 When our Emmett ran for Congress in 1912, much was made of the fact that he was born while his parents were in the British colony as ‘temporary residents,’ and he would get all testy when his citizenship would be called into question by members of the press. I find it odd now that this is the THIRD family set from the Wilson clan that decided to ‘temporarily reside’ in a faraway British colony. If Emmett were sitting here, I’d say to him: “Bud, your family had lost everything they had, and they were trying to recreate another plantation world in Belize. Own it. One doesn’t just move entire families to an undeveloped jungle when there’s no money, no prospects, just for kicks and grins.” Emmett’s father had to borrow $1,000 from a relative just to move to British Honduras, money he knew he’d be hard-pressed to pay back in his lifetime (it was the equivalent of about $300,000 in today’s dollars). Simeon Maxwell was someone I hadn’t investigated much simply because he didn’t seem to be a major presence or influence in Emmett’s life. Simeon hasn’t been mentioned in family stories or documents other than that he was Elizabeth and Lucy’s brother, and that he moved to Mississippi in his early 20s. He and his family returned to Bovina after their experiences in Belize. But, discovering that he was actually in Belize at the same time as Emmett’s parents, and a few other Wilson relatives was interesting; it reinforced the idea that Emmett’s citizenship might have certainly come into question at one point. What happened to the Simeon Maxwell family? St. Alban’s Episcopal Church, Bovina, Mississippi. Unfortunately, I haven’t found anything remarkable, other than they moved to Bovina, they were a farming family, they lived their lives, they died here. Father is Simeon; Mother is Emma O Maxwell. The youngest daughter was also named Emma. Notice the death dates, and how close they are. I’ve tried tracking down obituaries to find out what happened to Simeon and his family; if you notice the dates, Simeon and his son John died only within two and a half months of each other. John is only 21. Also, the two Emmas — mother and daughter — died within a few months of each other. They are, left to right, Emma O Maxwell, Emma the daughter; John, and Simeon. The foot stones have the initials of the deceased. I find it odd, but comforting, thinking here’s a direct relative of Emmett who may have known MY direct ancestors. Bovina (a tiny community in 1900, still tiny in 2015, as it did not even show up on my car’s GPS) is only eight miles down the road from Vicksburg, and considered part of Vicksburg’s micropolitan statistical area. If, back in the day, Bovinians wanted to go shopping for things not found at the local dry goods store (there was only one or two in Bovina), for instance, they’d go to Vicksburg, a larger, bustling, busy port city. Perhaps my ancestors saw them on the street, doing their shopping. Maybe they smiled at each other, and said hello in passing. I like to think that. I’ve passed by the exit on Interstate 20 on my way to Vicksburg for years. I’ve never had a reason to stop there before — until now. I’ve found another branch of the family. I hope to discover more about them in my continuing research saga. I bought the property that Simeon Maxwell and his family owned. I have found a few interesting things about who he married but really there is not much available. I really enjoyed reading your finds and am glad to add it to the history of the property. There is a cemetery on the northern part of the property. I am curious as to why he and his family were not buried in the cemetery on the property. Hello, and thank you so much for reaching out to me! How interesting! My family is from Vicksburg; my in-laws live in Port Gibson, and we visit as often as we can. I was thrilled to find Simeon so close to my stomping grounds! I’d love to visit sometime, if that is acceptable, just to see where Elizabeth’s brother lived. I don’t know if you know this, but Simeon actually moved to Belize (British Honduras) about the time Emmett’s parents did, all for the purpose of rebuilding family fortunes. That’s a rather recent find, by the way. I’m so glad to hear from you! Thank you for writing. Feel free to PM me if you wish.